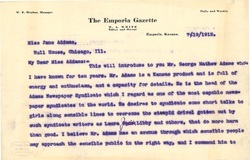 This will introduce to you Mr. George Mathew Adams who I have known for ten years. 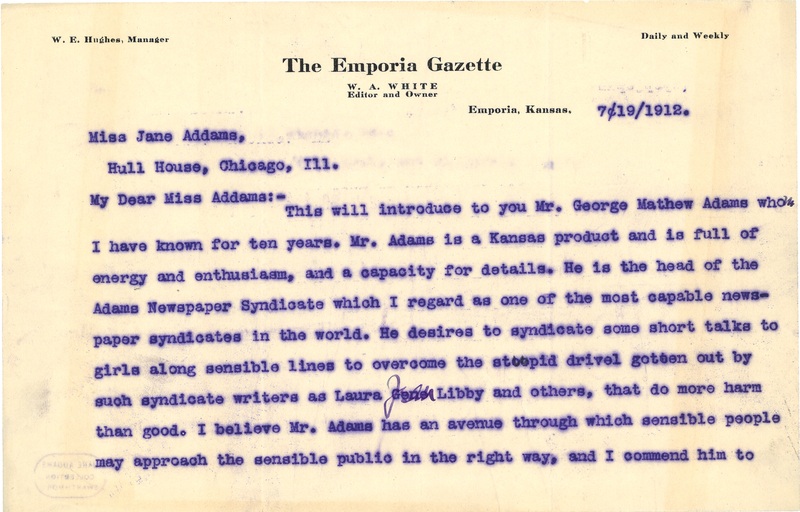 Mr. Adams is a Kansas product and is full of energy and enthusiasm, and a capacity for details. 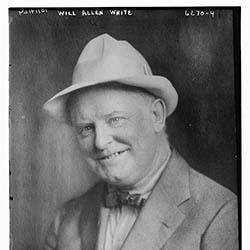 He is the head of the Adams Newspaper Syndicate which I regard as one of the most capable newspaper syndicates in the world. 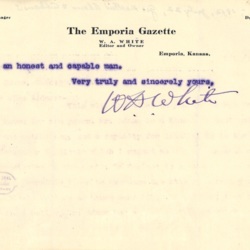 He desires to syndicate some short talks to girls along sensible lines to overcome the stupid drivel gotten out by such syndicate writers as Laura [Gene] <Jean> Libby and others, that do more harm than good. 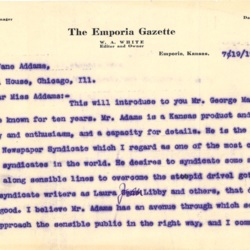 I believe Mr. Adams has an avenue through which sensible people may approach the sensible public in the right way and I commend him to [page 2] you as an honest and capable man. 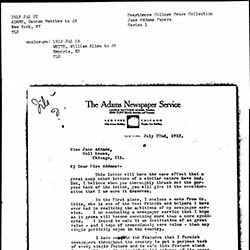 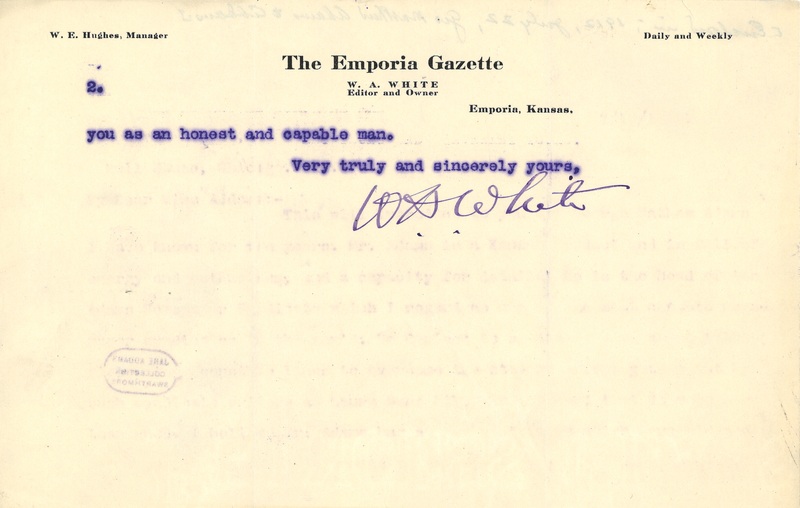 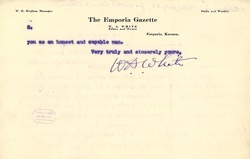 White, William Allen, “William Allen White to Jane Addams, July 19, 1912,” Jane Addams Digital Edition, accessed April 18, 2019, https://digital.janeaddams.ramapo.edu/items/show/4541.